It’s no secret that an EMBA degree can provide the toolkit needed to unlock promotions and rise to the top in business. EMBA graduates enjoy a $10,000 average salary boost and 75% of students say the degree helped them take the next step in their careers at an accelerated pace—according to GMAC’s 2018 Alumni Perspectives Survey. 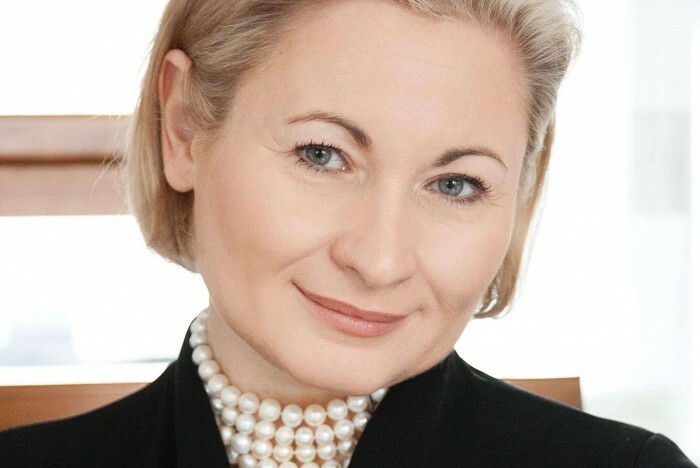 Rita Jakusch is a prime example of how an EMBA degree can help you to rise through the ranks. Having studied law at the University of Vienna and moving into banking with her first job, Rita wanted to pursue management education to gain multinational exposure, expand her network, and improve her skills as a business leader. She chose to pursue the Global Executive MBA (GEMBA) from WU Executive Academy in Vienna, which requires working professionals to take just 40 days out of work over 16 months. WU Executive Academy’s GEMBA—ranked 45th worldwide and 13th for international course experience by the Financial Times—has residencies in Argentina, Brazil, China, India and the US, and is taught in English. Graduating in 2015, Rita hoped her GEMBA—which comprises of two degrees; an MBA from both WU Executive Academy and their partner school, the Carlson School of Management at the University of Minnesota—would culminate in a promotion at work. Rita found the program to be particularly unique due to its diverse and far-reaching global footprint. Her highlights of the Global Executive EMBA were the trips to China and India. Out of the program’s 14 modules, six of these are taught abroad in partner universities. The South America residency provides insight into the largest economy in Latin America, Brazil, and explores the delicate balance of the Argentinian economy and the impact of political changes on the business market. In China, Rita studied at the City University of Hong Kong, while in India, she attended classes at the Indian School of Business, Hyderabad. Rita gained insight into the two largest contributors in the Asian market through discussions with leaders in both local and international businesses. Recent company visits on the program include Infosys, Google, Microsoft and Midea. For Rita, the Global Team Project was another highlight of the EMBA, with students working across continents with students from China and the US. For the six-month project, Rita and her peers were tasked with developing a business model and writing a subsequent thesis. The team only met face-to-face when they had to present their business model at the University of Minnesota, as the project aims to highlight the importance of digital competency and cooperation in an increasingly global business economy. Rita identifies this virtual teamwork and business case development as the key crucial skills that she developed on WU Executive Academy’s Global Executive EMBA, alongside negotiation skills, marketing, and financial analysis. In fact, she says the program trained her eye to lift information and identify numerical anomalies so well that, when she was looking over her company’s end of year financial statements, it was thanks to her that a disaster was averted. She located and rectified a well-hidden error that many of her colleagues had missed and subsequently saved her company a lot of money.